Bankrupt auto parts supplier Takata Corp. has recalled an additional 3.3 million potentially deadly airbag inflators, as the largest U.S. automotive recall gets even bigger. At least 15 car companies may be equipped with the Takata airbags, including BMW, GM, Honda, Toyota, and Tesla. The company said it would work with each company to develop a remedy. A letter from the National Highway Traffic Safety Administration (NHTSA) says the recall addresses model year 2009 vehicles ever registered in Alaska, Colorado, Connecticut, Idaho, Iowa, Maine, Massachusetts, Michigan, Minnesota, Montana, New Hampshire, New York, North Dakota, Oregon, Rhode Island, South Dakota, Utah, Vermont, Washington, Wisconsin, and Wyoming. As we have previously reported, the problem with the Takata airbags lies in the inflators, assembled as part of the frontal air bag modules. The inflators may explode due to propellant degradation occurring after long-term exposure to lower absolute humidity, temperature, and temperature cycling. When that happens, tiny bits of metal are sprayed through the vehicle cabin, much like shrapnel. The faulty inflators have been blamed for 13 deaths, the latest occurring in July when a 19 year-old woman died as the result of a minor accident that caused the airbag in her 2002 Honda to deploy. 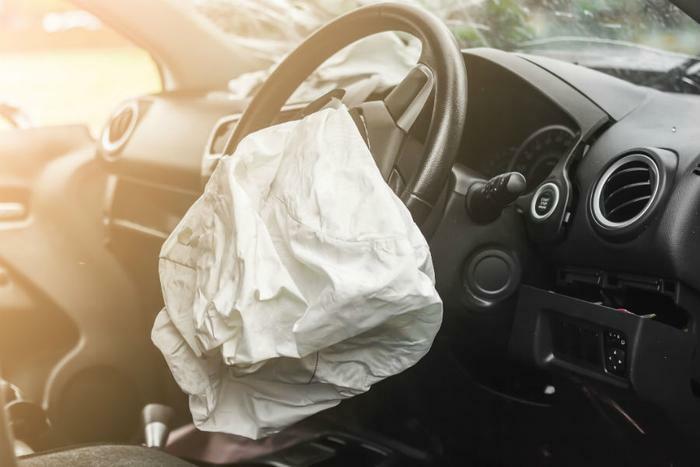 The total number of recalls caused by the potentially dangerous airbags is now approaching 50 million and may reach as many as 70 million next year, Takata says. These vast numbers have created challenges for dealers and auto service centers. Auto manufacturers, however, urge drivers of affected cars to seek repairs as soon as possible. According to John Buretta, the independent monitor overseeing the recalls, at least 20 million recalled Takata airbags still had not been replaced as of mid-September. Last July, Sens. Richard Blumenthal (D-Conn.) and Edward J. Markey (D-Mass.) urged Honda to take "the strongest possible action to ensure that vehicles with such airbags are immediately removed from the road before more people are killed." You can find out if your car is affected by the recalls by writing down your vehicle's VIN number and going to the U.S. government's website SaferCar.gov. If your dealer is not able to replace the defective airbag immediately, you can ask for a loaner, but dealers are not legally obligated to provide one.